In this one I talked to Danielle Muscato, host of the Resist podcast and kind of a superstar in atheist sjw activist circles. She is one of those voices that I’ve been following for a long time and have learned a lot from. I really wish that I had got this interview episode out earlier because Danielle is such a busy activist that she’s done a ton of stuff since we talked. You can go and become a patron at www.patreon.com/hardcoreskeptic. That will give you access to a patron only rss feed where you can hear patron only exclusives and get early access to episodes. 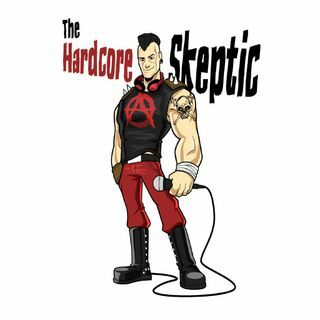 You can find more of these episodes at www.thehardcoreskeptic.com you can find me on Itunes, Stitcher, Google Play and just about anywhere else you can find podcasts.